Department of Orthopaedics Pad. Dr. D Y Patil Medical College & Hospital, Nerul, Navi Mumbai, Maharashtra. Department of Orthopaedics, Mumbai Port Trust Hospital, Wadala (E), Mumbai, Maharashtra. Department of Orthopaedics S C Medical College, Nanded, Maharashtra. Institute Where Research Was Conducted: Dr. S. C. Government Medical College, Nanded. University Affiliation: Maharashtra University of Health Sciences, Nashik. Year Of Acceptance Of Thesis: 2010. Materials and Methods: The study “a comparative study of management of displaced Gartland type III supracondylar fracture humerus in children (closed reduction and plaster immobilization versus closed reduction and percutaneous pinning)” was carried out during the period of August 2007 to July 2009 in the department of orthopaedics and attached Civil Hospital. The age of the patient was from 4 to 12 yrs, with follow up ranging from 3 months to 1 year. A total of 98 cases were enrolled for this study. 14 cases were lost in follow up and only 84 patients completing the minimum follow up of 3 months were considered for analysis of observations and results. Out of these 84 patients 54 were treated with closed reduction and K wire fixations while remaining 30 were treated with close reduction only and all the patients were immobilsed with above elbow slab. Conclusion: Our study states that K wire fixation is superior over just plaster immobilization in terms of improved functional outcome and lesser complications. Thesis question: Is 'K' wire fixation superior over slab application in supracondylar humeral fractures? Thesis answer: Our study reveals that 'K' wire fixation with slab is superior over just a slab application in supracondylar humeral fractures. Supracondylar fracture of humerus is the most common elbow injury seen in children. Fall on outstretched hand is the most common mode of injury, which occurs in children during playing, running and fall from bicycle. Displaced supracondylar fracture humerus in children may be associated with other fractures of upper extremities depending on the mode of injury. An apparently uncomplicated fracture may lead to complication if not treated properly. This fracture occurs in the area where brachial artery and three nerves of upper extremity are in close vicinity . Hence these structures are liable to get injured as a result of displaced fracture. It may be associated with swelling, limb threatening Volkman ischemia and nerve palsies on presentation and may lead to stiffness of elbow and cubitus varus deformity of elbow . Goals of treatment of supracondylar fracture are to achieve an excellent, functional & cosmetic result without complication . Many methods of treatment have evolved in management of supracondylar fracture humerus in children. These are closed reduction and immobilisation in plaster slab, closed reduction and percutaneous kirschner wire fixation, open reduction and internal fixation, Dunlop traction, olecranon traction etc . This study was undertaken to evaluate and compare clinico-radiologically the results of two most common methods of treatment namely, closed reduction and immobilization in plaster slab versus closed reduction and percutaneous k wire fixation. 1. To study clinical profile of dislplaced supracondylar fracture humerus. 2. To compare and evaluate results between closed reduction and immobilzation in plaster slab and closed reduction and percutaneous K wire fixation. 3. To study complication of management by closed reduction and immbilzation in plaster slab and closed reduction and percutaneous K wire fixation. Traumatic suprocondylar fractures with Type III Gartland, patients willing to participate in the study. The cases were grouped in two as follows. Group I: Even no cases treated with closed reduction and K wire fixation. Group I 54 cases (37+8*+9**) and Group II 30 cases constitute the material for this study. * 8 cases of unstable reduction with plaster slab, K- wire stabilization was done and patient included in Group I fixation. ** 9 cases of suspected of compartment syndrome were treated by CR and K wire fixation. Patient followed at 1, 3, 6, 9, and 12 months and each follow-up results were assessed using Flynn's criteria . In the present study 98 cases of Gartland type III supracondylar fracture humerus were enrolled. Only 84 cases were taken for final results analysis as they had completed the minimum follow up of 3 months. Out of 14 cases lost in follow up, 11 were in CR+ slab group and 3 were from CR + K wire group. Out of 84 cases considered for results 54 belonged to CR + K wire group and 30 cases were of CR+ slab group. The following observations of the study are based on the follow up of 84 cases only. Around 72% patients were between 5 to 10 years of age and 82% were boys. Left side injury was 3 times commoner than right. Fall on outstretched hand was common mechanism of injury (60%). Posteromedial displacement was 5 times commoner than posterolateral. 5 patients had associated distal radius fracture while vascular compromise was seen in 7 patients and one patient had nerve injury. 81% patients were treated with lateral 'K' wire fixation. 76.19% patients were having metaphyseo-diaphyeal angle between 85-100 postoperatively, indicating good reduction of fracture. However, values less than 85 and above 100 in a total of 20 cases were accepted. It was found that incidence of stiff elbow and cubitus varus was more common in patients treated with slab group (6.66%). Around 87.03 % cases treated with 'K' wire had less than 10-degree loss of range of motion. While this percentage was 56.66 % in cases treated with plaster slab alone. 6.66% (2) cases managed with slab had cubitus varus while none case of K wire group had cubitus varus. Thus showing overall results are better in 'K' wire group. As per Flynn's criteria 88 % cases of CR+ K wire group had excellent to good results while 67 % cases of CR + slab group had excellent to good results. No case of poor result was noted in k wire group while 2 patients in slab group had poor outcome. This study shows supracondylar fracture humerus to be more common in boys between 5-10 years' age, more on nondominant side and has posteromedial displacement. The study found that better maintaince of reduction by K wire fixation with better follow up and avoidance of complications of compartment syndrome, stiffness and cubitus varus in comparison to plaster slab. This study tells that supracondylar fracture humerus is seen most commonly in non-dominant hand, most common age group is 5-10 years. K wire fixation with immobilization has better functional outcome than only immobilsation. 1. RJ Last. Surgical Anatomy, 6th ed., 1978. 2. Griffin Quoted by Charles A Rockwood. Fractures and dislocations of elbow region, fractures in children. 2nd ed., 1984, 3: 363 – 562. 3. Smith FM. Surgery of the elbow. 2nd ed., 1972, Published by WB Saunders Co.
4. Flynn JC, Mathews JG, Benoit RL. Blind pinning of displaced supracondylar fracture of the humerus in children. JBJS, 1974, 56 – A (2): 263 – 273. 5. Palmer Edward, Niemann KM Supracondylar fracture of the humerus in children. JBJS, 1978, 60 – A (5) : 653 – 656. 6. Pirone AM, Graham HK, Krajbich JI Management of displaced extension type of Supracondylar fracture in children. JBJS, 1988, 70 – A: 641 – 649. 7. Abraham E, Powers T, Witt P, Ray RD. Experimental hyperextension supracondylar fractures in monkeys. Clin Orthop Relat Res. 1982, 171:309-318. 8. Abulfotoohm . Eid, Acta orthop . scand.1978, 49:39-45. 9. Alonso – Llames M. Bilaterotricipital approach to the elbow. Its application in osteosynthesis of supracondylar fracture humerus in children. Acta orthop scand 1972,43(6):479-490. 10. Archibald David AA, Robert JA, Smith GH. Transarticular fixation for severely displaced supracondylar fractures in children. JBJS, 1991 Jan, 73 (1); 147 – 149. 11. Arino VL, Lluch EE. Percutaneous Fixation of supracondylar fracture of the humerus in children. JBJS, 1977, 59 –A: 914 – 916. 13. Ashhurst APC Quoted by Fowles JV. Displaced supracondylar fracture of the elbow in children. JBJS, 1974, 56 – B (3): 490 –499. 14. Badhe NP, Haward PW. Olecranon Screw traction for displaced supracondylar fractures of the humerus in children. “Injury” 1998 July, 29 (6): 457 – 460. 15. Battaglia TC, Armstrong DG, Schwend RM. Factors affecting forearm compartment pressures in children with supracondylar fractures of the humerus. J Pediatr Orthop. 2002, 22:431-439. 17. Blakemore LC, Cooperman DR, Thompson GH, Wathey C, allock RT. Compartment syndrome in ipsilateral humerus and forearm fractures in children. Clin Orthop Relat Res. 2000, 376:32-38. 18. Bloom T, Robertson C, Mahar A, Pring M, Newton PO. Comparison of supracondylar humerus fracture pinning when the fracture is not anatomically reduced.Read at the Annual Meeting of the Pediatric Orthopaedic Society of North America; 2007 May, 23-26; Hollywood, FL. 19. Blount Quoted by Folwes JV. Displaced supracondylar fracture of the elbow in children. JBJS, 1974, 56 – B (3): 490 – 499. 20. Bohler L Quoted by Charles A Rockwood. Fractures and dislocations of elbow region, fractures in children. 6th ed.2006, 3:543-589. 21. Brandberg R Quoted by Charles A Rockwood. Fractures and dislocations of elbow region, fractures in Children6th ed. 2006, 3:543-589. 22. Brauer CA, Lee BM, Bae DS, Waters PM, Kocher MS. A systematic review of medial and lateral entry pinning versus lateral entry pinning for supracondylar fractures of the humerus. J Pediatr Orthop. 2007,27:181-6. 23. Campbell, Water CC, Emans PM Neurovascular injury and displacement in type III Supracondylar fracture humerus in children .Pediatr Orthop, 1995, 15: 47 – 52. 24. Campbell's Operative Orthopaedics. 11th ed., Vol.3, Pg 1580-1597. Mosby Co.
25. Carcassonne M. Results of operative treatment of severe supracondylar fracture of humerus elbow in children. J. Paediatric surg. 1972, 7(6): 676-679. 26. Celiker O, Pestilci FI, Tuzuner M. Supracondylar fractures of the humerus in children: analysis of the results in 142 patients. J Orthop Trauma. 1990, 4:265-269. 27. Charles A Rockwood, Wilkins KE.Fractures in Children, 6th ed.2006, 3:543-589. Published by JB Lipinocott and Co.
28. Cheng JC, Lam TP, Shen WY. Closed reduction and percutaneous pinning for type III displaced supracondylar fractures of the humerus in children. J. Orthop Trauma, 1995, 9 (6): 511 – 515. 29. Cheng JC, Ying SY, Lam PK. A 10 years study of the changes in the pattern and treatment of 6,493 fractures in children. J. Pediatr Orthop, 1999 May – June, 19 (3): 344 –350. 30. Cheng JC, Lam TP, Maffulli N. Epidemiological features of supracondylar fractures of the humerus in Chinese children. J Pediatr Orthop B. 2001; 10:63-67. 31. Childress HM. Transarticular Pin fixation in supracondylar Fractures at the elbow in children. JBJS, 1972, 54 – A: 1548 – 1552. 32. Clement DA Assessment of a treatment plan for managing acute vascular complications associated with supracondylar fractures of the humerus in children. J Pediatr Orthop, 1990 Jan – Feb, 10 (1) : 97 – 100. 33. Cotton FJ, Conn J Elbow fracture in children. Ann surg 1902 , 35: 252-259. 34. Cramer KE, Davito DP, Green NE Comparison of closed reduction close pinning versus open reduction percutaneous pinning. J Orthop Trauma, 1992, 6 (4): 407 – 412. 35. Cramer KE, Green NE, Devito DP. Incidence of anterior interosseous nerve palsy in supracondylar humerus fractures in children. J Pediatr Orthop.1993,13:502-505. 36. Crenshaw AH Fractures in children. Campbell's operative orthopaedics. 8th edition, Vol. 2. Page 1100 – 1115, 1992, Published by Mosby Co.
37. Culp RW, Davidson RS Neural injuries associated with supracondylar fractures of the humerus in children. JBJS, 1990 Sept, 72 (8): 1211 – 1215. 38. D' Ambrosia RD Supracondylar fracture of the humerus. Prevention of cubitus varus. JBJS, 1972, 54 – A: 60-66. 39. Danielsson L, Pettersson H Open reduction and pin fixation of severely displaced supracondylar fractures of the humerus in children. Acta Orthop Scand.1980, 51(2):249-255. 40. De Boeck H, De Smet P, Penders W, De Rydt D. Supracondylar elbow fractures with impaction of the medial condyle in children. J Pediatr Orthop.1995,15:444-448. 41. Desault PJ Quoted by Charles a Rockwood. Fractures and dislocations of elbow region, fractures in children. 6th ed.2006, 3:543-589. 42. Doumi, Ahmed, Hassan R Fractures in Childhood in Khartum. East Afr Med J, 1994 June, 71 (6): 354 –357. 43. Dunlop J Transcondylar fracture of the humerus in childhood. JBJS, 1939, 21: 59 – 73. 44. Edman P Supracondylar fracture of the humerus treated with olecranon traction. Acta chir scand 1963, 126: 505-516. 45. Eliason EL Quoted by Charles A Rockwood. Fractures and dislocations of elbow region, fractures in children. 6th ed.2006, 3:543-589. 46. Fleuriau-Chateau P, McIntyre W, Letts M. An analysis of open reduction of irreducible supracondylar fractures of the humerus in children. Can J Surg. 1998, 41(2):112-128. 47. Fohey JJ Quoted by Charles A Rockwood. Fractures and dislocations of elbow region, Fractures in children. 6th ed.2006, 3:543-589. 48. Fowles JV, Kassab MT, Tunis Displaced Supracondylar fractures of the elbow in children. JBJS, 1974, 56 – B: 490 – 500. 49. Gadgil A, Hayhurst C, Maffulli N, Dwyer JS. Elevated, straight-arm traction for supracondylar fractures of the humerus in children. J Bone Joint Surg Br. 2005,87:82-87. 50. Gartland JJ Wilkins Management of Supracondylar fractures humerus in children.Surg Gynec Obst, 1959, 109(2):145-154. 51. Gordan F Results of close pinning of supracondylar humerus fractures using K – wire. Magy Traumatol orthop Kezseb Plasztikai, 1994 Sept, 32 (7): 53 – 61. 52. Gray H Gray's Anatomy, 36th ed., 406 – 409. 53. Grant's Atlas of Anatomy, 9th edition, Page 405 –407. 54. Green DW, Widmann RF, Frank JS, Gardner MJ. Low incidence of ulnar nerve injury with crossed pin placement for pediatric supracondylar humerus fractures using a mini-open technique. J Orthop Trauma. 2005,19:158-3. 55. Gruber A, Martin, Hudson Supracondylar fracture in children. JBJS, 1964, 46 – A (6) : 1245 – 1252. 56. Gupta N, Kay RM, Leitch K, Femino JD, Tolo VT, Skaggs DL.Effect of surgical delay on perioperative complications and need for open reduction in supracondylar humerus fractures in children. J Pediatr Orthop. 2004, 24:245-248. 57. Hadlow AT, Devane P, Nicol RO. A selective treatment approach to supracondylar fracture of the humerus in children. J Pediatr Orthop. 1996, 16:104-106. 58. Henrikson B Supracondylar fracture humerus in children. A late review of end results with special reference to cause of deformity, disability and complication. Acta chir scand 1966, 369 (suppl); 1-72. 59. HippocratesQuoted by Charles A Rockwood. Fractures and dislocations of elbow region, fractures in children. 6th ed.2006, 3:543-589. 60. Holden CE. The pathology and prevention of Volkmann's ischaemic contracture. J Bone Joint Surg Br. 1979,61:296-300. 61. Holmberg L Fracture in the distal end of humerus in the children. Acta chir scand 1945 ; 92: (suppl 103): 1-69. 62. Ingebrightsen Quoted by Charles A Rockwood. Fractures and dislocations of elbow region, fractures in children. 6th ed.2006, 3:543-589. 63. Iyenger, Hoffinger, Townsend Early – Versus delayed reduction and pinning in displaced supracondylar fractures of the humerus in children – A comparative study. J Orthop Trauma, 1999 Jan, 13 (1): 51 – 55. 65. Judet J Quoted by Sharkawi AH. Treatment of displaced supracondylar fracture of the humerus in children in full extension and supination. JBJS, 1965 May, 47 – B (2) : 273 – 279. 66. Kurer MH, Regan MW Completely displaced supracondylar fracture of the humerus in children. Review of 1708 comparable cases. Clin Orthop, 1990 July, 256 : 205 – 214. 67. Lagrange J Quoted by Fowles JV. Displaced supracondylar fracture of the elbow in children. JBJS, 1974, 56 – B (3): 490 – 499. 68. Lejman T Personal experience in use of close reduction and close pinning for displaced supracondylar fracture of the humerus in children. Chir Narzodow Ruchu Orthop, 1994, 59 (3): 203 – 206. 69. Lee SS, Mahar AT, Miesen D, Newton PO. Displaced pediatric supracondylar humerus fractures: biomechanical analysis of percutaneous pinning techniques.J Pediatr Orthop. 2002,22:440-443. 70. Leitch KK, Kay RM, Femino JD, Tolo VT, Storer SK, Skaggs DL. Treatment of multidirectionally unstable supracondylar humeral fractures in children. A modified Gartland type-IV fracture. J Bone Joint Surg Am. 2006,88:980-985. 72. Malgaigne Quoted by Eppright and Wilkins in “Fractures”. Vol. I, 487, Published by JB Lippincott Co.
73. Mapes RC, Hennrikus WL. The effect of elbow position on the radial pulse measured by Doppler ultrasonography after surgical treatment of supracondylar elbow fractures in children. J Pediatr Orthop. 1998,18:441-444. 74. McGraw JJ, Akbarnia BA, Hanel DP, Keppler L, Burdge RE. Neurological complications resulting from supracondylar fractures of the humerus in children. J Pediatr Orthop. 1986,6:647-650. 75. McLaughlin HL. Trauma. Philadelphia: WB Saunders Co, 1959. 76. Mehlman CT, Crewford AH, Roy DR Operative treatment of supracondylar fractures of the humerus in children. The Cincinnati experience. Acta Orthop Belg, 1996, 62 : 41 – 50 (Suppl). 77. Mehlman CT, Strub WM, Roy DR, Wall EJ, Crawford AH.The effect of surgical timing on the perioperative complications of treatment of supracondylar humeral fractures in children. J Bone Joint Surg Am. 2001,83:323-327. 78. Miller OL Blind nailing of T fractures of lower end humerus w hich include the joint. JBJS. 1939, 21:933-938. 79. Minkowitz B, Busch MT Supracondylar humerus fractures,. Current trends and controversies. OCNA, 1994 Oct, 25 (4): 581 – 594. 80. Mitchell WJ, Adams JP.Supracondylar fractures of the humerus in children: a ten-year review. J Amer Med Assoc 1961, 175: 573-577. 81. Mubarak SJ, Carroll NC. Volkmann's contracture in children: aetiology and prevention. J Bone Joint Surg Br. 1979, 61:285-293. 82. Ormandy, L. Olecranon Screw for Skeletal Traction of the Humerus. Am. J. Surg. 1974, 127: 615-616. 83. Ostmon BO, Aket EA Absorbable polyglycoiled pins in internal fixation of fractures in children.J Pediator Orthop, 1993, 13 (2): 242 – 245. 84. Ottolenghi Acute ischemic syndrome; its treatment prophylaxis of Volkmans syndrome. AMJ orthop 1960; 2: 312-316. 86. Prietto CA. Supracondylar fractures of the humerus. A comparative study of Dunlop's traction versus percutaneous pinning. J Bone Joint Surg Am.1979, 61:425-428. 87. 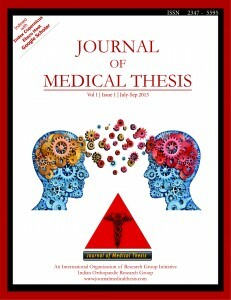 Reza Omid, MD1, Paul D. Choi, MD1 and David L. Skaggs, MD The Journal of Bone and Joint Surgery (American). 2008;90:1121-1132. 89. Sandeguard, Scuderi. Quoted by Charles a Rockwood. Fractures and dislocations of elbow region, fractures in children. 6th ed.2006, 3:543-589. 90. Sankar WN, Hebela NM, Skaggs DL, Flynn JM. Loss of pin fixation in displaced supracondylar humeral fractures in children: causes and prevention. J Bone Joint Surg Am. 2007,89:713- 716. 91. Severijnen RS Neurological complications in children with supracondylar fractures of the humerus. Eur J Surg, 1999 March, 165 (3) : 180 – 182. 92. Schoenecker PL, Delgedo E, Rotman Pulseless Arm in association with totally displaced supracondylar fracture. J Orthop Trauma, 1996, 10 (6): 410 – 415. 94. Shaw BA, Kasser JR, Emans JB, Rand FF. Management of vascular injuries in displaced supracondylar humerus fractures without arteriography. J Orthop Trauma. 1990,4:25-29. 96. Skaggs DL, Hale JM, Bassett J, Kaminsky C, Kay RM, Tolo VT. Operative treatment of supracondylar fractures of the humerus in children. The consequence of pin placement. J Bone Joint Surg Am. 2001,83:735-740. 97. Skaggs DL, Cluck MW, Mostofi A, Flynn JM, Kay RM. Lateral-entry pin fixation in the management of supracondylar fractures in children. J Bone Joint Surg Am. 2004,86:702-707. 98. Spinner Martow Anterior interosseous nerve palsy as complication of supracondylar fractures humerus in children. JBJS, 1969, 51 – A (8): 1584-1590. 99. Stimson Quoted by Charles A Rockwood. Fractures and dislocations of elbow region, fractures in children6th ed.2006, 3:543-589. 100. SwensonThe treatment of supracondylar fracture humerus by Kirschner wire fixation. JBJS 1948, 30; 993-997. 101. Templeton PA, Graham HK The floating elbow in children simultaneous supracondylar fractures of the humerus and the forearm in the same upper limb. JBJS, 1995 Sept, 77 (5): 791 – 796. 102. Topping, Blanco, Davis T Clinical evaluation of crossed pins versus lateral pin fixation in displaced supracondylar humerus fracture. J Pediatr Orthop, 1995 Jul – Aug, 15 (4): 435 – 439. 103. Watson and Jones Fractures and Joints injuries, 1940, 611 – 627. 104. Wade FV Quoted by Charles A Rockwood. Fractures and dislocations of elbow region, fractures in children. 6th ed.2006, 3:543-589. 105. Weiland AJ, Mayer, S, Tolo VT Surgical treatment of displaced supracondylar fracture of the humerus in children. JBJS, 1978, 60 – A: 657 – 661. 106. Wilkins KE Residuals of elbow trauma in children. Ortho Clin N Am, 1990, 21 (2): 291 – 314. 107. Williamson DM, Cole WG Treatment of ipsilateral supracondylar and forearm fracture in children. Injury, 1992, 23 (3): 159 – 161. 108. Zionts LE, Hathway R, McKeleop Torsion Strength of pins configuration used to fix supracondylar fracture humerus in child. JBJS, 1994, 76 (2): 253 – 256. How to Cite this Article: Kharat A A, Biraris S R, Dhaniwala N S, Shinde G J, Bhoj P. A comparative study of management of displaced Gartland Type III supracondylar fracture humerus in children. 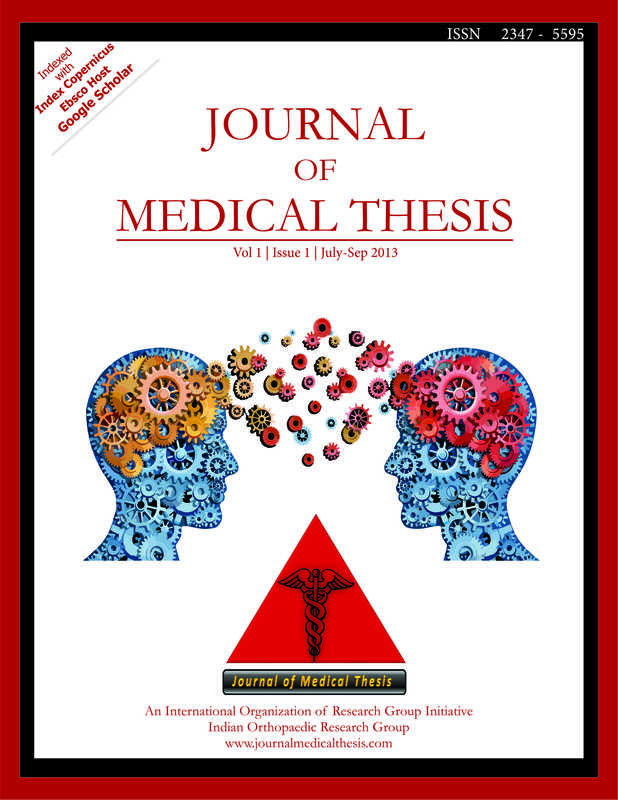 Journal Medical Thesis 2017 Jan-Apr ; 5(1):12-17.